HFS Annual End of Year School Picnic - Monday, June 12th! Please click on the link for all the details regarding our End of Year Picnic! To purchase your child&apos;s art work please click on the link above. PLEASE SAVE THE DATE AND JOIN US FOR OUR ANNUAL HOLY FAMILY SCHOOL ART SHOW! Click on the title above for all the details! The June Lunch Menu is now available. Please return to the office no later than Monday, May 22nd. Please note: Monday, June 12th is the school picnic. Home and School will NOT be providing lunch. Picnic lunches must be ordered from the menu or brought from home. 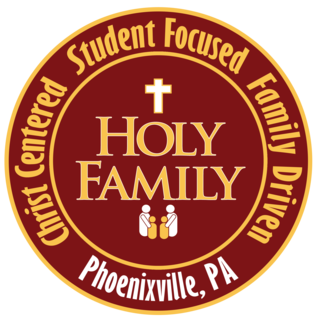 If you have any questions please contact: dnemceff@myholyfamilyschool.org. Click on the title above to view.